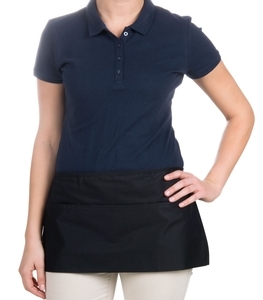 Keep employees looking crisp and uniform with this Choice 12" x 26" black front of the house waist apron! 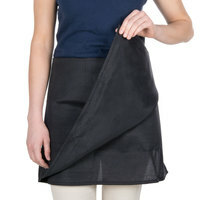 Both efficient and stylish, this Choice apron features long ties for an adjustable, superior fit. Plus, its black color can be used to match any restaurant, bistro, cafe, or catered event's unique theme. 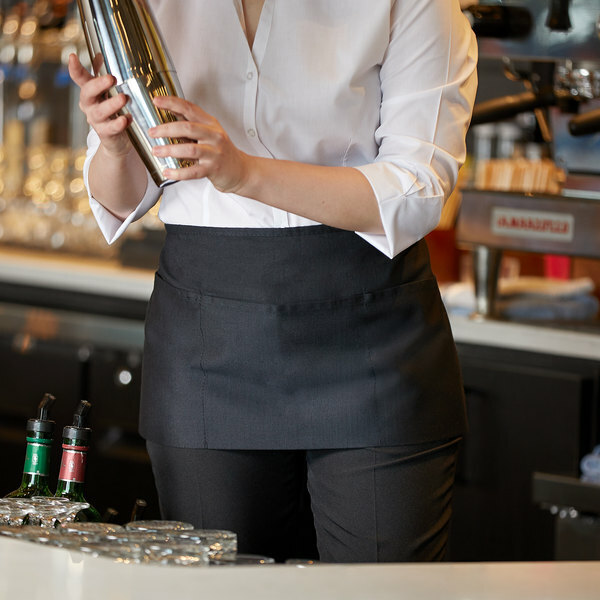 Protect your barkeep or waitstaff from inevitable messes while changing kegs, taking orders, or serving customers with this versatile apron! "Our Waitresses love this apron. It is comfortable and holds up really well to the daily wear and tear of the job. 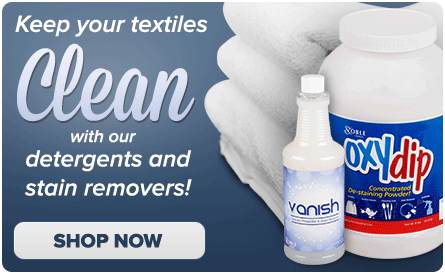 Great product and we will order again!" This apron offers a sleek, clean look and will help create a sophisticated appearance in any establishment. Its black color also hides dirt and grime well to keep each employee looking their best. 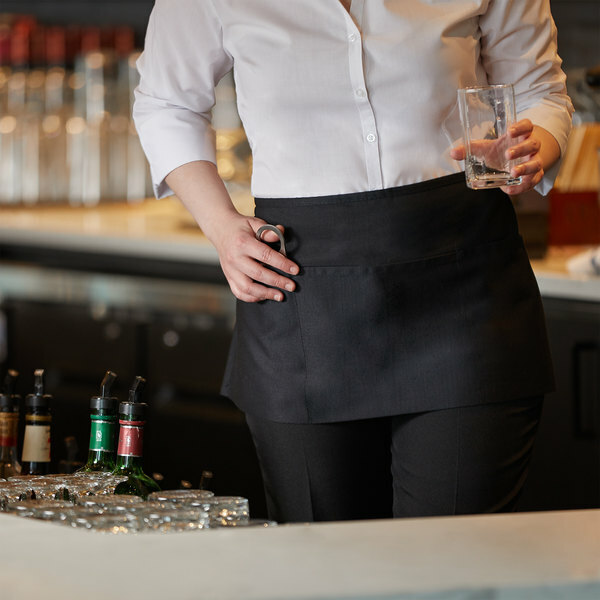 Not only do the three sectional pockets allow room for table-hopping necessities like straws, pens, and guest checks, they leave your staff's hands free to carry multiple trays or wipe down tables, ensuring quick and efficient service. How can I properly wash and care for this poly-cotton item? Wash this item with like colors in cold water. Then, dry it on the low-heat setting. 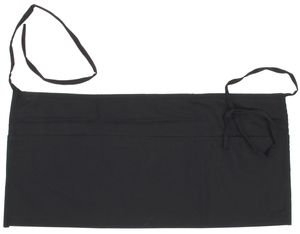 Item #: 167051BK Choice Black 4-Way Waist Apron - 17" x 36"
Choice Black 4-Way Waist Apron - 17" x 36"
Choice White 4-Way Waist Apron - 17" x 36"
Perfect size apron with front pockets to hold guest checks among other things. The string is long enough to wrap around twice and tie in the front. Fabric is thick and durable. Looks good even after putting through the wash. 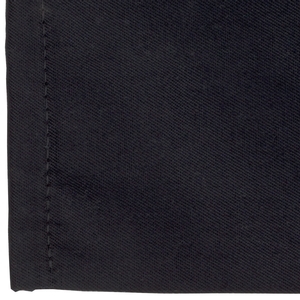 This black front waist apron is very good quality. I will buy more, I would request more color if they can, orange the best color. works fine. Good, cheap, fits everyone. It does fade after a couple of months but no complains for something at this price. bought again many time. Product was exactly as advertised. 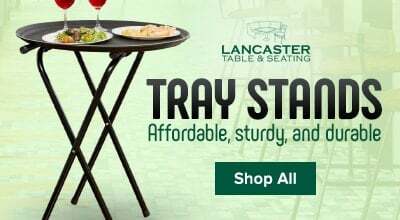 Affordable price and and good quality. I use these aprons at both of my restaurants and have never received any complaints from my employees. 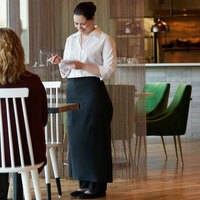 These aprons look very professional in our restaurant. They are suitable for either male or female servers. The tie strings are the perfect length too! They are the most reasonably priced aprons we have found anywhere! We will buy them again when we run out. 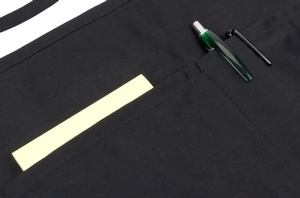 Great front of house aprons with 3 pockets for pens, ticket books, receipts, etc... They hold up well being washed every week. However, I would tie the straps together or put each one in a laundry bag so the straps don't get tangled in the wash.
Great little apron, we use them in the FOH and BOH, instead of rentals, these are cheap enoght so i buy everyone 5 to take home. These front of the house aprons are very handy. Choice made products are good anyway. I've washed them multiple times and they hold up well. So I ordered these to make Valentine's aprons for my co workers. They are horrible. The strings ripped off as soon as one lady put hers on. And three more of them the pockets ripped as soon as they put their waitress book in them. Absolutely disappointed with these aprons. Thank you for your review, Kristen! We are sorry this Choice 12 inch x 26 inch Black Front of the House Waist Apron has not worked well for you. A Customer Solutions Representative will contact you soon! Nice apron for our wait staff in our French restaurant. One pocket for pen, one for guest check and one to carry money ! Easy to clean. These are the perfect, subtle, functional aprons for our service staff. The cost is right in line with what we wanted to pay for an employer provided apron. Great apron. Looks nice and light weight. I like the three pockets it has, makes it easy to put money and stickers. Use this for craft shows and have really enjoyed it. We love these aprons and have adopted them as part of our “uniform”. We utilize the pockets for the shop cell phone and keeping pad&paper handy for phone orders! Our waitress love the apron. Exactly what they need to do their job. Good price and quality. We have had the for almost a year. We will purchase again..
We've been using this apron now for many years. They hold color well wash after wash. The only problem with a few of them is the pockets want to unravel. Great apron to block unwanted debris onto your work clothing. Also nice to help protect your shirts from getting worn out from rubbing against equipment. We use these for all of our restaurant servers and they work very well for us. We would definitely recommend using these in your restaurant! Love the aprons. My staff love it . Spacious and good material. I would recommend to definitely buy black is always the best choice of color. 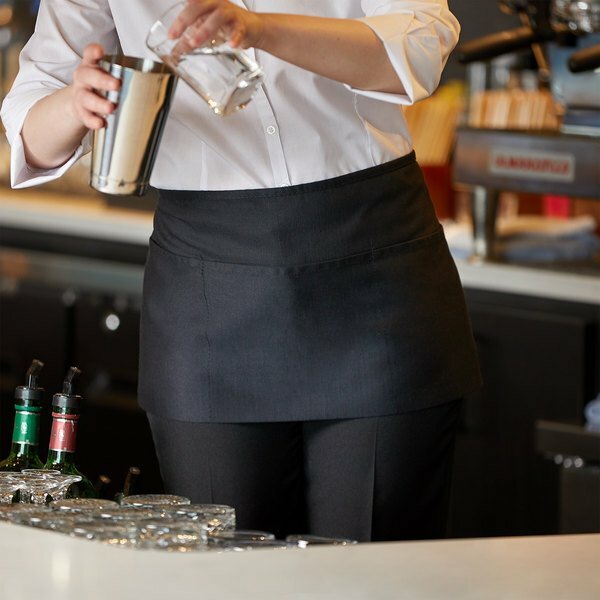 Nice server waist apron. Looks classy yet is very affordable. Ties in front or back, and sits securely on waist. Would recommend purchasing this product. This apron by Choice is a great purchase. The pockets in the front are key. You’re able to keep your pens separate from the pads, while maintaining organization. Perfect for servers.